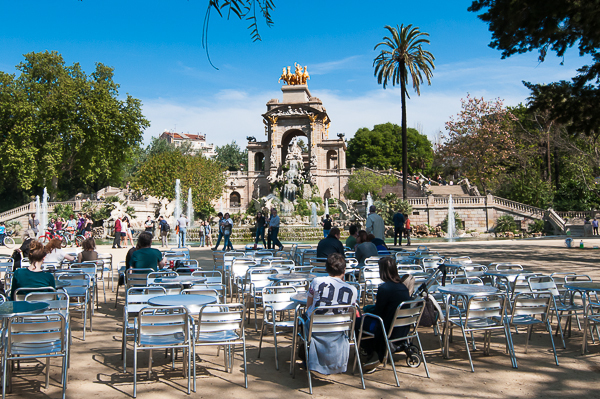 Ciutadella Park: A Haven Amid the Hectic. 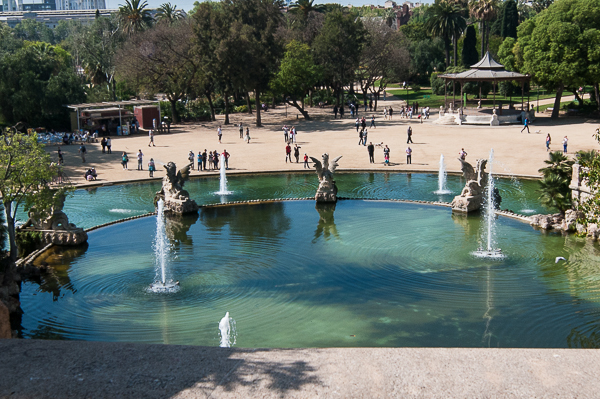 Parc de la Ciutadella (Citadel Park): The largest green space within the old city. 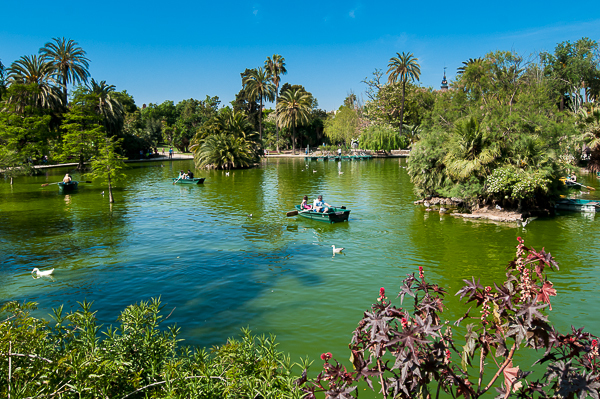 From military fortress to fairgrounds to what it is today: a green oasis of palm trees, small playgrounds, fountains, ponds, historic buildings, home to the Barcelona Zoo and one of the best picnic spots within the old city. 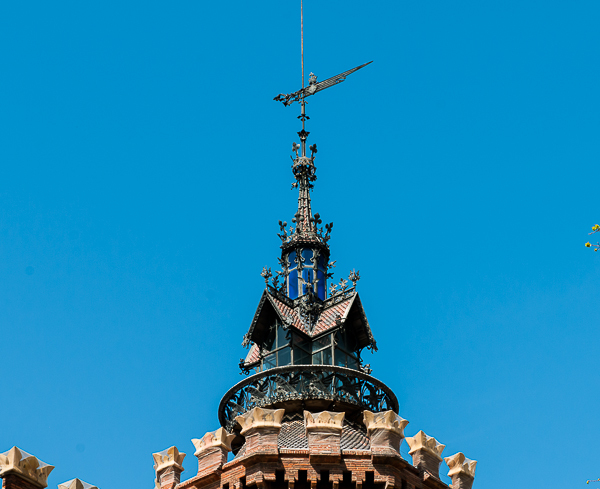 Soon after Barcelona surrendered to the Bourbon Empire in 1714 and became a part of modern Spain under the rule of Felipe V, the building of the ciutadella (citadel) began. Within five years this large fortress occupying 150 acres and with the ability to launch a cannon ball to any part of the city was completed. 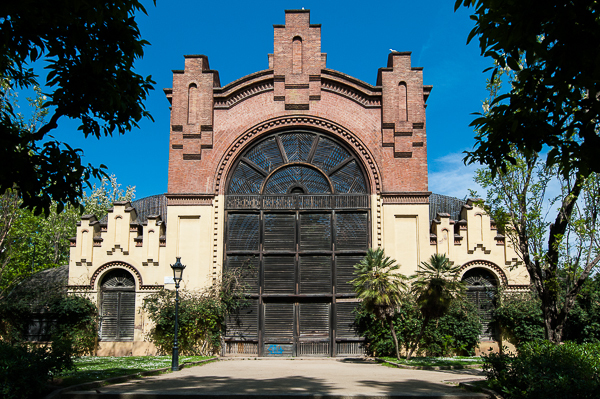 It and its walls became a hated symbol of Bourbon rule for the Catalán people until it was finally destroyed 150 years later in order to create what is today the Parc de La Ciutadella, developed as the site of the World Exposition of 1888. 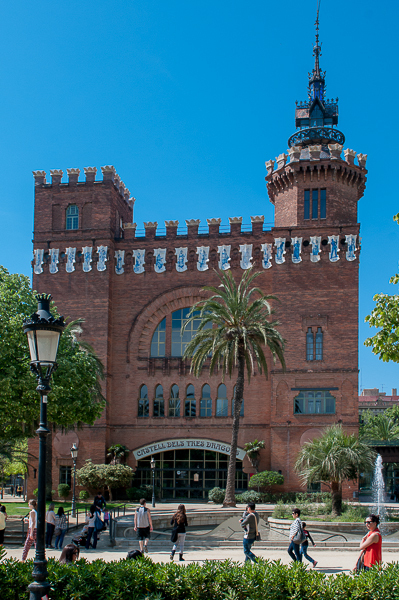 The Citadel park was designed by the Catalán architect Josep Fontseré i Mestres (1829-97) who subscribed to the maxim that "Gardens are to the city what lungs are to a man". 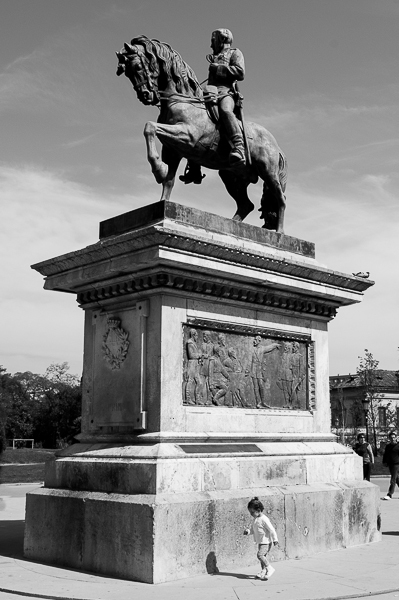 The park was to be the embodiment of the renaissance of Catalonia erected over the remains of the hated symbol of Bourbon rule, the citadel and its walls. 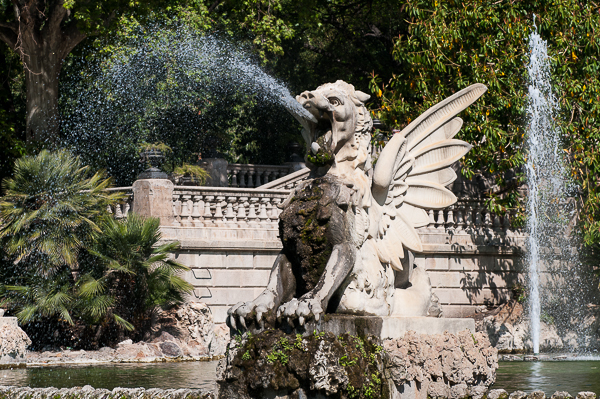 A public space with ponds and ornamental fountains, a winter garden, a zoology and geology museums, a shade house, a zoo and honorary statues of the great men of Catalonia all make the park a great way to spend a lazy afternoon. 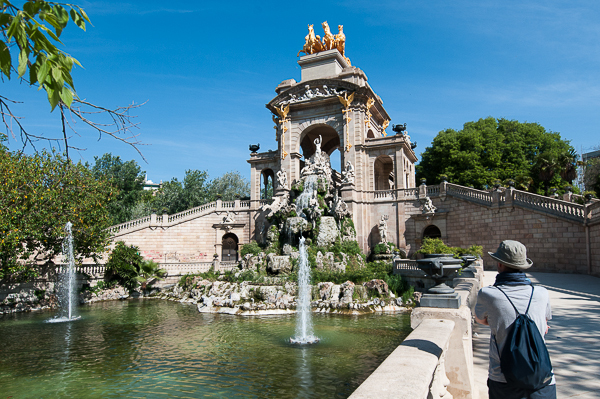 Fontseré succeeded in his endeavor and today the Citadel park is one of Barcelona's most popular public spaces. For both locals and visitors, the park offers an escape into a peaceful world. 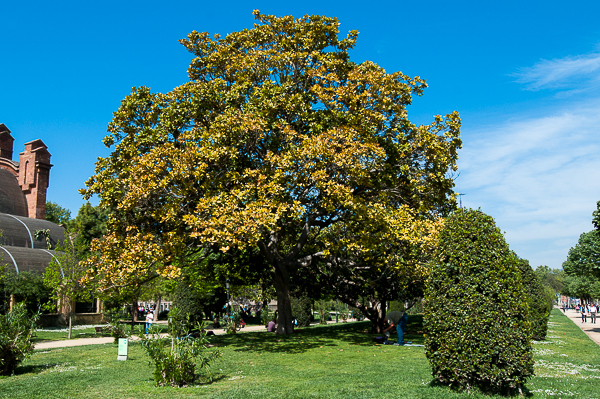 During the spring, summer and fall months you can enjoy the many sights that the Citadel park offers. It's great place to bring the family or simply take a walk along the many paths that zigzag through the park. 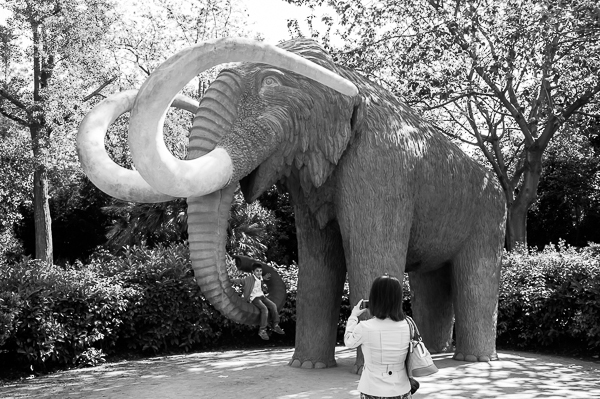 The park's many activities include visiting the zoo, riding a bike, taking a boat on the pond, seeing the zoological museum with its dinosaur remains, taking in the shade gardens, enjoying the fountains, joining a drum circle, having a picnic lunch (bocatas are always nice) or just finding an agreeable spot, kicking back and enjoying a quiet moment. 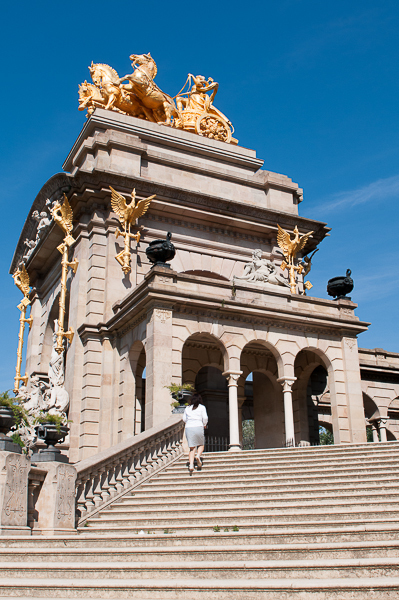 The park's "Lady With the Umbrella" statue was created by Roig Soler for the 1888 Universal Exhibition. 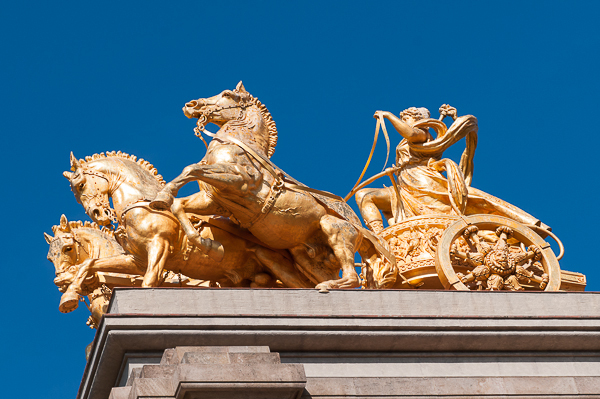 The gilded horseman atop the park's magnificent waterfall is actually a woman. She is Aurora, the Roman goddess of the dawn. "Despair," a sculpture of a saddened woman which is located at the east end of the park, is a replica of the original. 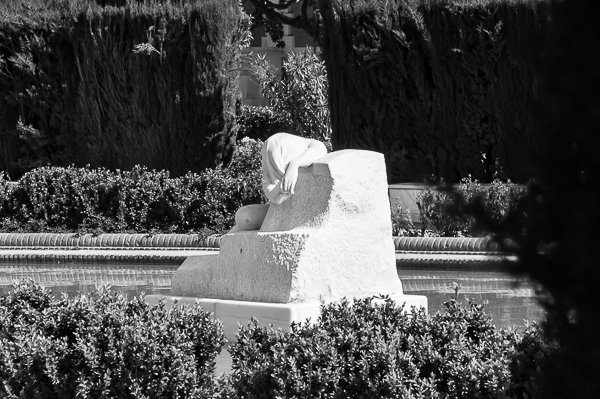 The original marble sculpture, created by Josep Llimona, is on display at the National Museum of Catalonian Art. 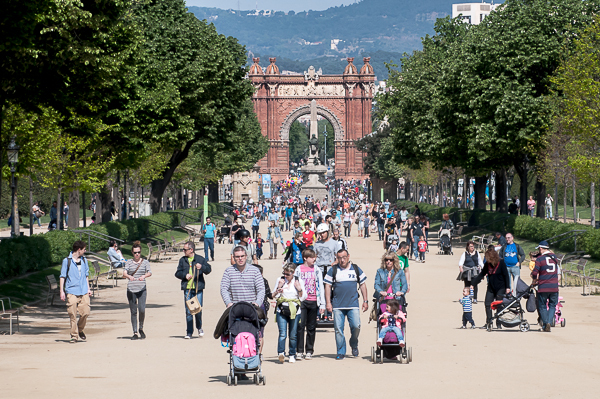 The main avenue of the Ciutadella Park. 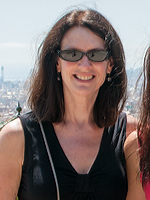 You can see the Arc de Triomf in the background. 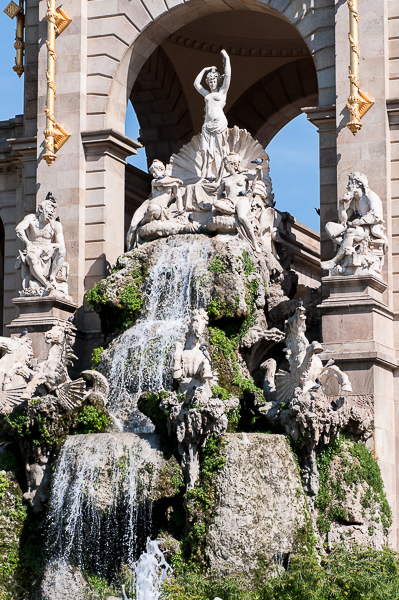 You can take the red metro line to the "Arc de Triumf" stop. It is a 10 minute walk from there.